Nearly nine years ago, a 7.3 magnitude earthquake struck the small island of Haiti, killing almost a quarter of a million people. Mackenson Lundy, a junior studying construction management, was there that January day where he lost all of his best friends, his sister, niece and brother to the natural disaster. On that day, Lundy promised his Father in Heaven he would serve him if he survived. Shortly after, a friend introduced him to The Church of Jesus Christ of Latter-day Saints. Lundy was baptized and served a mission for the Church a year later. He then worked for the United Nations, taking him to Sao Palo, Brazil where he began the Pathway program. “After the earthquake in Haiti, I saw a lot of destruction all over the country of Haiti. I was the only survivor of my staff at work. 20 people were working on my team. I wanted to help because I knew what these people suffered. Mentally, Emotionally and physically everybody was injured. They were not fine but because Haitian people are strong and resilient, they were willing to start over and move on. I thought that the medical field was the path in which I would have been able to help the most, so I went to UVU, Utah Valley University to study public health,” Lundy said. However, after lots of prayer to his Father in Heaven and attending the temple the answer came to Lundy. He was going to study construction management just like his wife. “After a family Home evening, my wife asked me if I was still interested in the medical field. I responded,” No, I felt that I needed to study Construction Management like you. There are different ways in which I can help and make a difference in the world. I felt that if I could help people to build safely, whether or not I was a doctor, there would be no difference,” Lundy said. Lundy said he hopes to create a construction company with his wife Sophia Lundy, a senior studying construction management, here in Rexburg. He wants to go to places around the world, including Haiti, to show how to build safely and sustain ably. He plans on using software like Building Information Modeling, and others to keep up with the demand for upgraded systems, accuracy and errors mitigation. 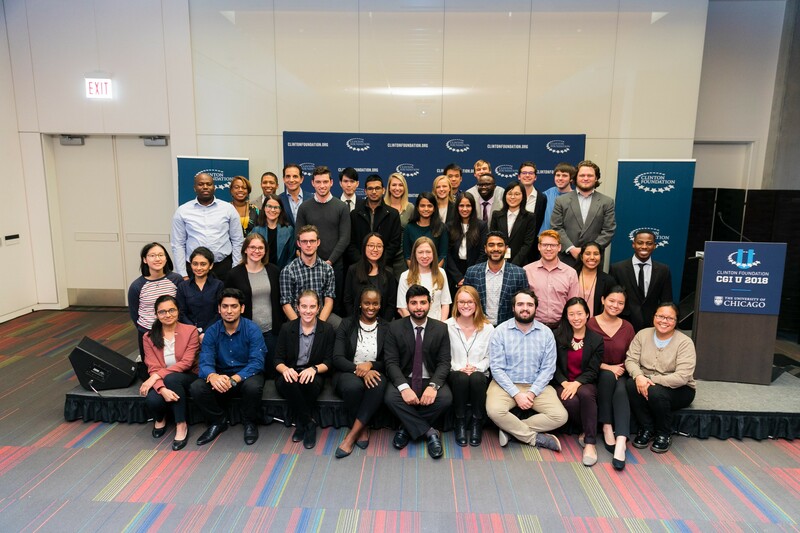 Lundy attended the Clinton Global Initiative University Meeting at the University of Chicago in October. According to the Clinton Foundation, more than 1,000 college and university students from across the country and the world came together addressing this generation’s most pressing challenges. 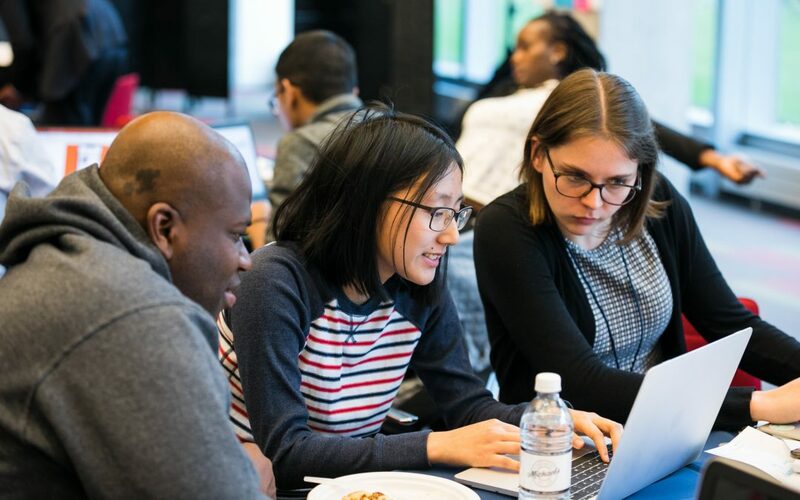 While there, Lundy participated in the Codeathon lead by IBM. Lundy said students participated in brainstorming ideas for applications to help with world crisis. His group specifically chose to create the idea and layout for an app to help those struggling with mental health issue. Lundy said it was neat working with other students from different backgrounds. “I felt the spirit and I want to do it again. It was cool. It would be a good opportunity to organize similar contest here on campus, similar research group. One of the things that mostly retained my attention was the fact that these students were willing to work together as one team and were willing to learn from each other. I would love to experience this daily, there was so much drive and concern for the wellbeing of others,” Lundy said. He said having a similar event at BYU-I would allow students with great ideas to get them out there. He also said a lot of people have great ideas and with the help of others can make them come to light. Lundy hopes to help people throughout his life and encourages others to do the same.